Chris earned a Bachelor’s degree in Early Childhood Education from Bridgewater State College. She worked for five years at another child care center, then created the Lexington Playcare Center in 1984. Her goal was to create a warm, welcoming and enriching environment for children and families. “I am so proud of all of us (both present and alumni teachers) for the highly professional, yet relaxed, fun and creative environment we have created together.” Chris enjoys the gift of trust from each child at LPC and spending time with her daughter, Lena, adopted from Wuhan, China, her family and friends and her sweet little spaniel, Pixie. Darcy joined the LPC community in 2012. 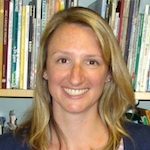 A graduate of the Eliot-Pearson Department at Tufts University, she has her Master’s Degree in Child Development. 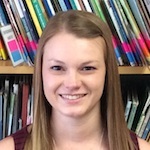 As a trainee in the Video Interaction Guidance program for Teacher Training and Staff Development, she is always excited to incorporate the current research in neuroscience, best practice, and child & adult development into all of her roles at LPC. 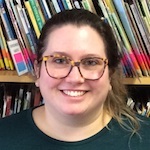 “Working with our superb teachers as they create inspiring classroom environments that nurture the explorations of children is so exciting.” In her free time, Darcy enjoys reading, traveling the globe, and trying new restaurants and cuisines. 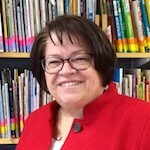 Terri graduated from North Adams State College in 1985 with a Bachelor’s Degree in Early Childhood Education and started teaching at LPC that fall. She loves working with toddlers at what she considers the greatest child care center in the world. “I’m continuously fascinated by the day-to-day development of toddlers. Their minds are amazing and I feel lucky to be a part of their exploration into the world around them.” Her musical and storytelling talents earn her many fans on the playground! In her free time Terri loves to spend time with her wonderful husband David, hang out by her mom’s pool, and travel to Disney World as often as possible! Christina joined the LPC team in August 2015. She earned her Bachelor’s Degree in Human Services from Fitchburg State College and taught preschool for 5 years before coming to LPC. She is excited to now be working with toddlers! “Working with children has given me the opportunity to see the world in a different way. I see them strive to overcome obstacles and persevere, and learn to persevere myself. They are my inspiration!” In her free time she enjoys relaxing at the beach, camping, cheering for the Patriots, and watching her brother play baseball for the Lexington Blue Sox. Talia began working at LPC in October of 1999. She holds a Bachelor’s degree in Sociology from Regis College and knew teaching young children and helping to shape their lives is what she always wanted to do. She uses hands-on skill, humor and draws on her experiences as a mother (her son is an LPC alum!) each day in her classroom. “Every day brings an unexpected joy – just a smile or a hug from a child really warms up my day!” When she’s not at LPC, Talia enjoys skiing, running, traveling and spending time with her family at their house in Maine. Since Leslie was a little girl she knew she wanted to help people! This passion naturally led to a teaching career which she pursued at Salem State University, graduating in 2011 with a Bachelor’s Degree in Elementary Education and Psychology. She has been teaching since then and was happy to join LPC in September 2015 where she shares her passion working with toddlers. “Every day with kids is different! Their intelligence, humor, and happy faces make it so fun to come to work.” Leslie’s parents hail from Portugal and she speaks fluent Portuguese, often introducing words and phrases to the kids in her classroom. In her free time, Leslie loves to travel to new places. Pam was so excited to join LPC in the fall of 2015. She has a Bachelor’s Degree in Russian from the College of the Holy Cross and has experience teaching preschoolers in Brookline and was also a math tutor for middle school aged kids. She was born in Venezuela and speaks Spanish, Russian, and French, which will prove useful in this very multi-cultural community! 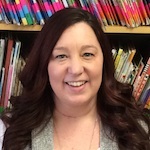 “My favorite part of being an early childhood educator is watching the children take what I have shown them and then use it independently and see them connect with each other!” She loves working with children, reading, traveling, and learning new things. Sandy earned her Master’s Degree in Family Studies from Wheelock College. 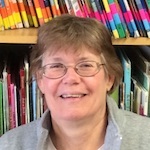 She joined Lexington Playcare Center when the school first opened in 1984, worked here for ten years as a preschool teacher, then left to raise her own children. Now that her son and daughter are older, she’s back! “I love my job! 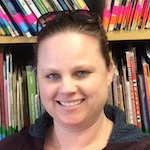 I love hearing the kids’ thoughts, their stories, and encouraging their imagination.” Outside of LPC, she is also a soccer coach, skier and loves spending time with her family. Kristin’s own early education teacher was an inspiration to her and she knew she wanted to be the same for the kids in her care. Kristin had studied nursing in hopes of becoming a pediatric nurse and in doing so realized her true passion was interacting with children and brightening their days. She went on to earn her degree in Psychology from Salem State University and joined the toddler team at LPC in the summer of 2015. She draws inspiration from the words of Haim Ginott – “Children are like wet cement, whatever falls on them makes an impression.” When Kristin is not at work she devotes her time to fun and games with her young daughter and son. Emily joined LPC in May of 2010 as an assistant teacher while she was still in college. She earned her Bachelor’s Degree in Psychology from Salem State University, and with two years experience with preschoolers at Jump Start in Dorchester and many years experience as a nanny/babysitter, she joined LPC full time. She loves working with young children – “There is no other job in the world where so many people are so happy to see you each day!” When she’s not at LPC she enjoys cooking, reading and spending time with her friends. 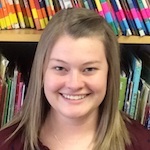 Alyssa joined the preschool team at LPC in the summer of 2016. 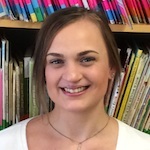 She has her Bachelor’s Degree in Psychology from UMass Lowell and six previous years of experience working with both toddlers and preschoolers. She was very excited to join the LPC family! “I love being that person who is consistent in a child’s life – helping them to learn and grow and try new things.” In her free time Alyssa coaches high school cheerleading. She also enjoys relaxing at the beach, reading, and spending time with her family and friends. Casey started working at LPC as a high school assistant in 1993. She enjoyed the children so much that she made early childhood education her career! Casey grew up in Lexington and has a Bachelor’s Degree in Early Childhood from Eastern Nazarene College. “I love watching how excited children are to discover and learn and make new friends!” Casey enjoys spending time with her husband and two beautiful little girls (LPC alums), and she loves scrapbooking, cooking, listening to music and making lollycakes. Kelly has been working at LPC since August of 2004 and she loves it! 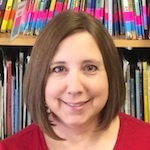 Her first role was as a toddler teacher, and after a few joyful years with the little ones, she moved across the hall to work with the preschoolers. “Kids have such an innocence and pure excitement for learning – I love that! And their brains go constantly!” Kelly recently finished her degree and is now the proud holder of a Bachelor’s Degree in Liberal Arts from Bay Path University. She enjoys spending time with her large family and when she’s not with them, you can find her reading a book, watching a movie or screaming her head off at any Bruins, Celtics, Red Sox or Patriots Game! 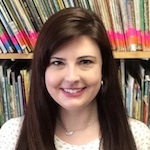 Emily joined the preschool team at LPC in February 2017. 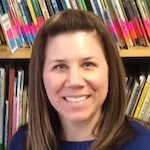 She graduated from Plymouth State University with a Bachelor’s Degree in Early Childhood Education and she is so excited to be part of such an authentic play-based school. Before LPC Emily worked as a preschool teacher in Andover and as a babysitter and nanny for many families. “I love being a facilitator of children’s learning and discoveries and providing them a safe environment for it to happen in!” Outside of LPC, you could find Emily hiking, practicing yoga or hanging out with her family and friends. Yun joined us in October 2018. She grew up in Lanzhou, China, and has been in the US since 2010. 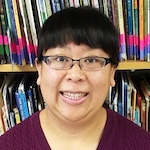 She has a Bachelor’s Degree in Education and English Linguistics, a Master’s Degree in English Linguistics, and has enjoyed teaching infants, toddlers and preschoolers here in the US for two and a half years. Kaz is an LPC alumna. Yes, she actually attended LPC as a toddler and preschooler! She studied at Mount Ida College and University of Massachusetts/Boston, and joined the LPC family as a full time teacher in 2011. “Watching a group of kids come together as a community who love and support each other is a beautiful thing!” For fun, Kaz enjoys dancing and teaches hip-hop and ballet to middle and high school students.